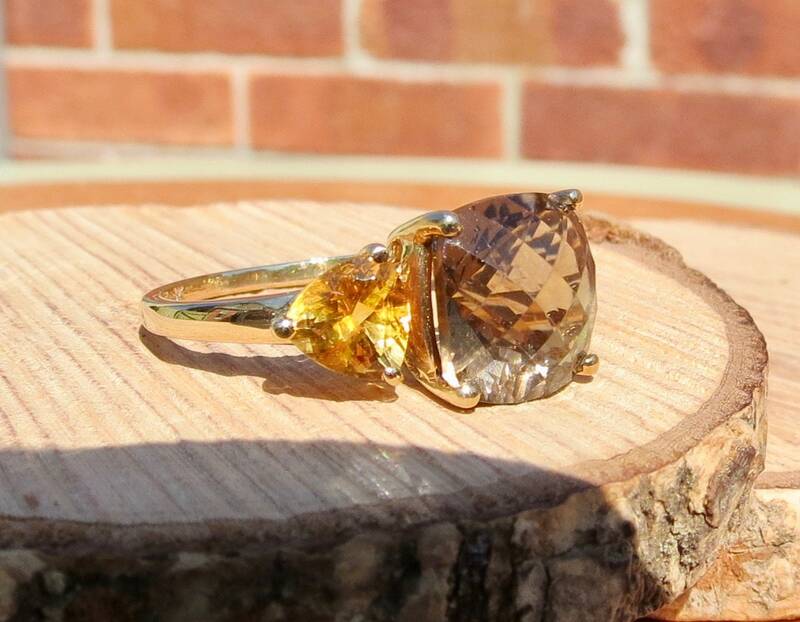 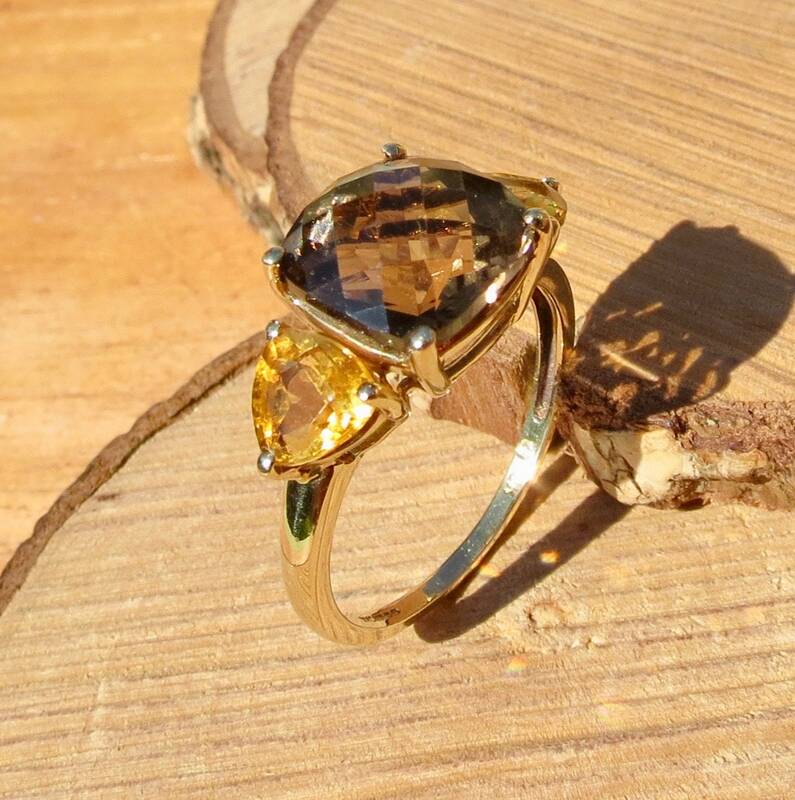 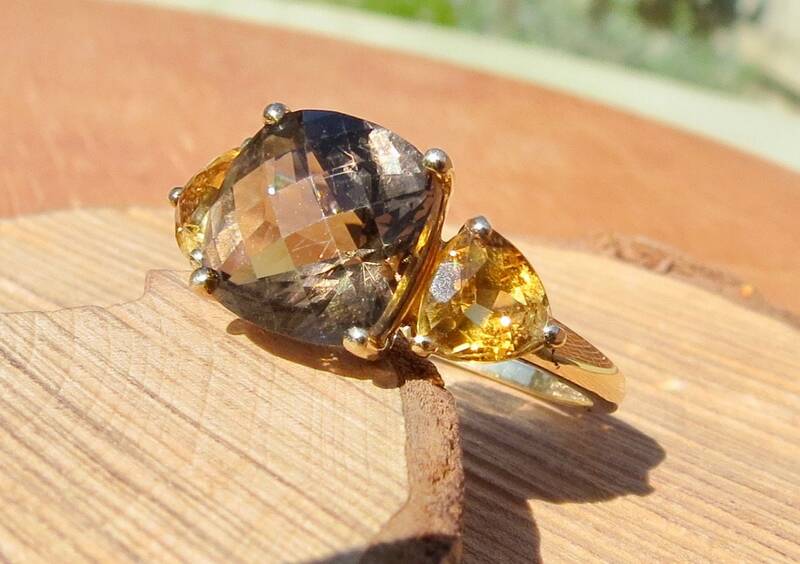 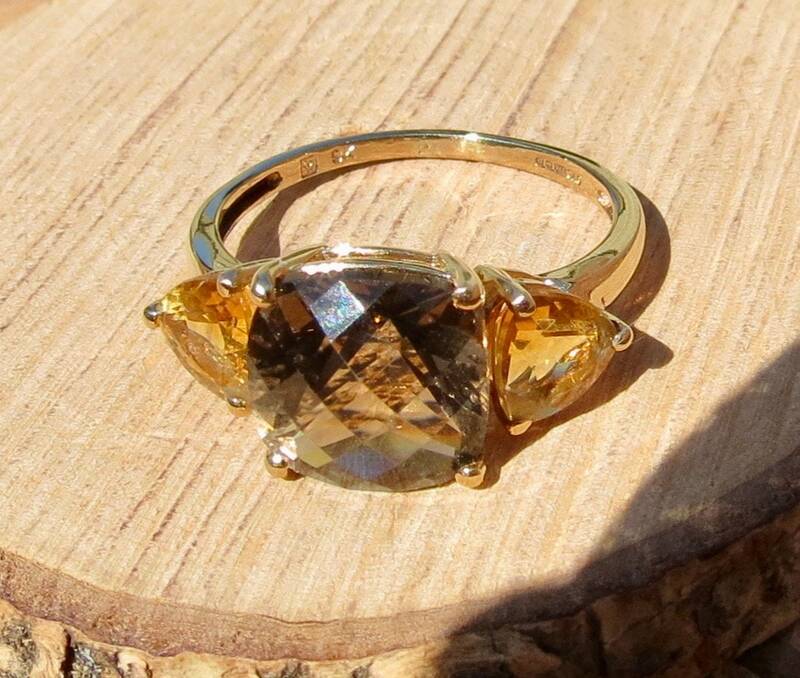 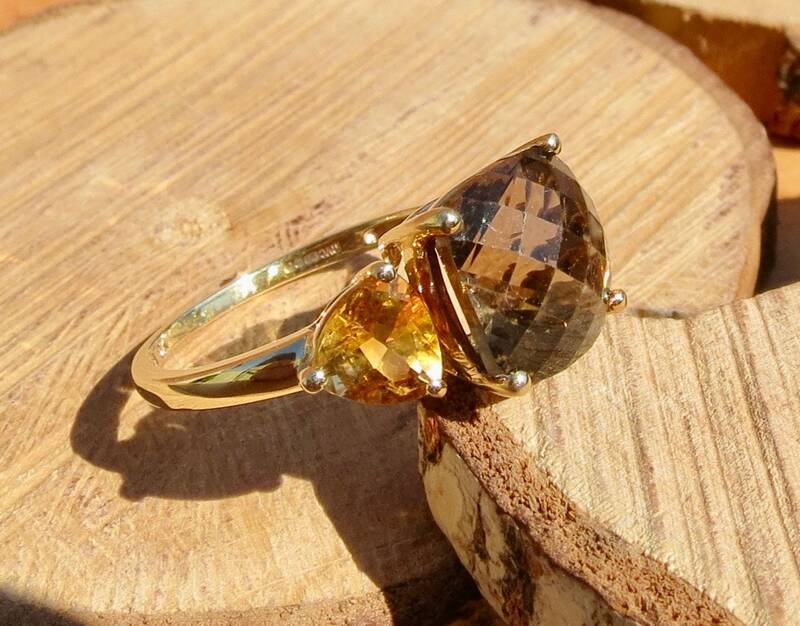 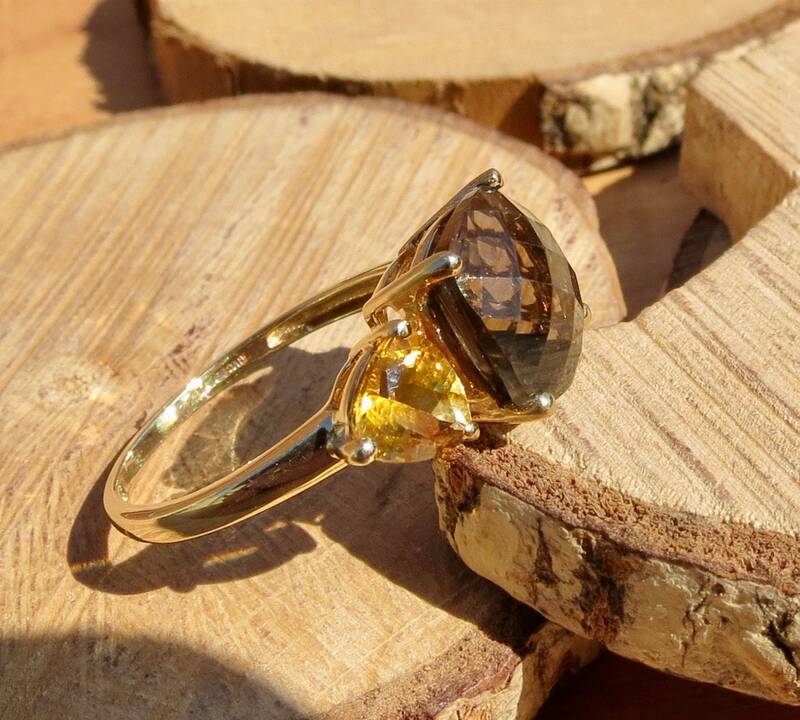 9K yellow gold 5 carat smokey quartz and citrine ring. 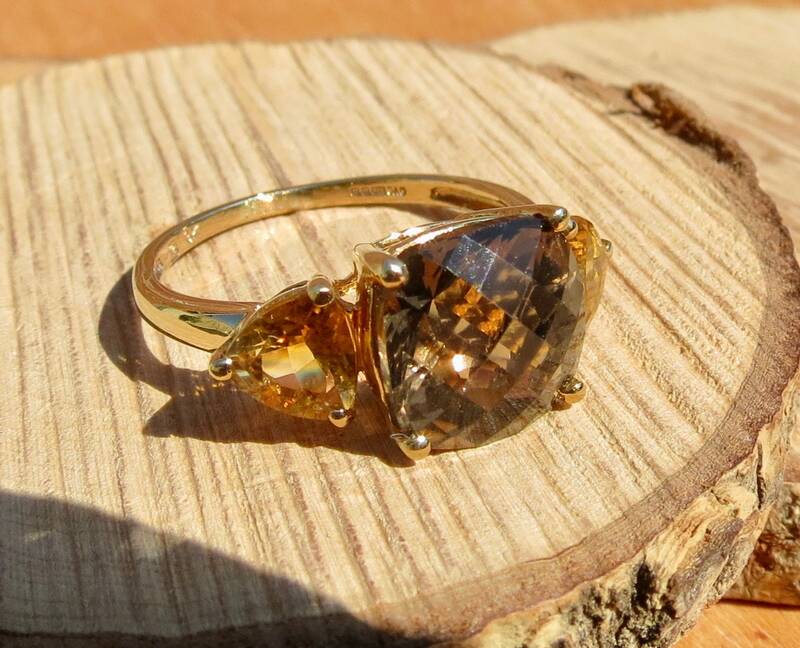 This 9k yellow gold ring has a trilogy of a 5 carat chequerboard cut square smokey quartz with two trillion cut triangular 1.2 carat citrine accents. 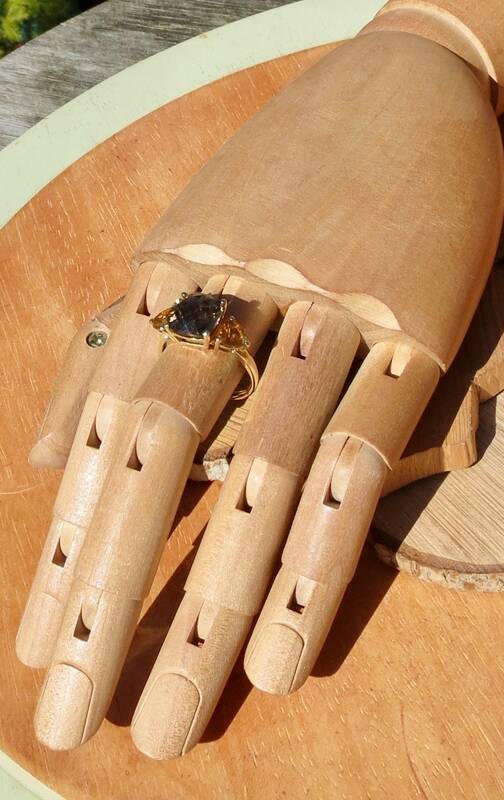 The box and peg setting leads to a plain band. 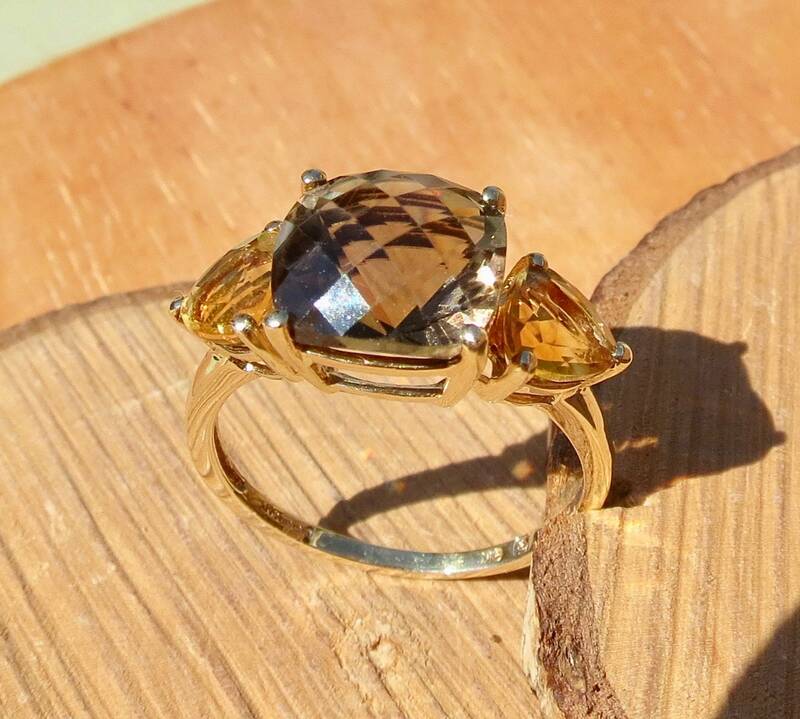 Full English Hallmarks 9k gold Birmingham England. 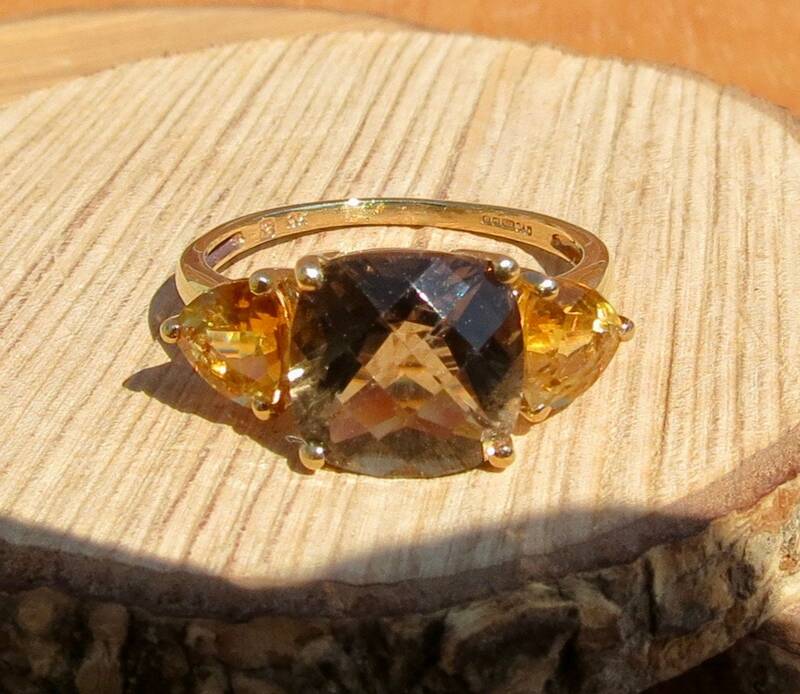 The setting is 4/5 inch wide (21mm) and 4/10 (10mm) across.